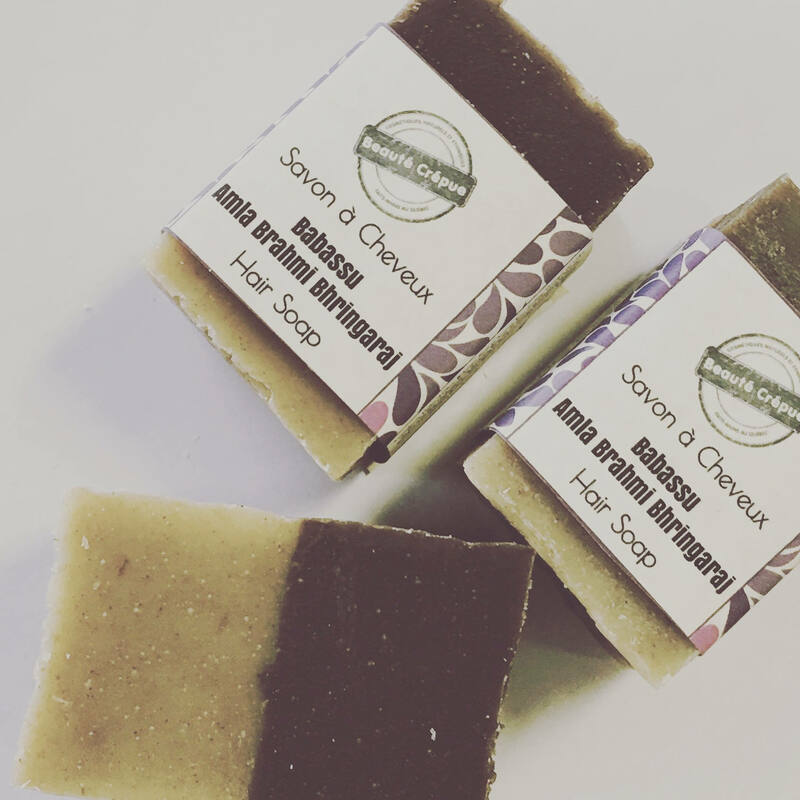 Solid Shampoo bar with Babassu oil and Ayurvedic powders by Amla, Brahmi and Bhringaraj. It strengthens and strengthens the hair rolts and protects the hair lengths. It is suitable for all types of hair particularly afro hair, curly, frizzy and curly. 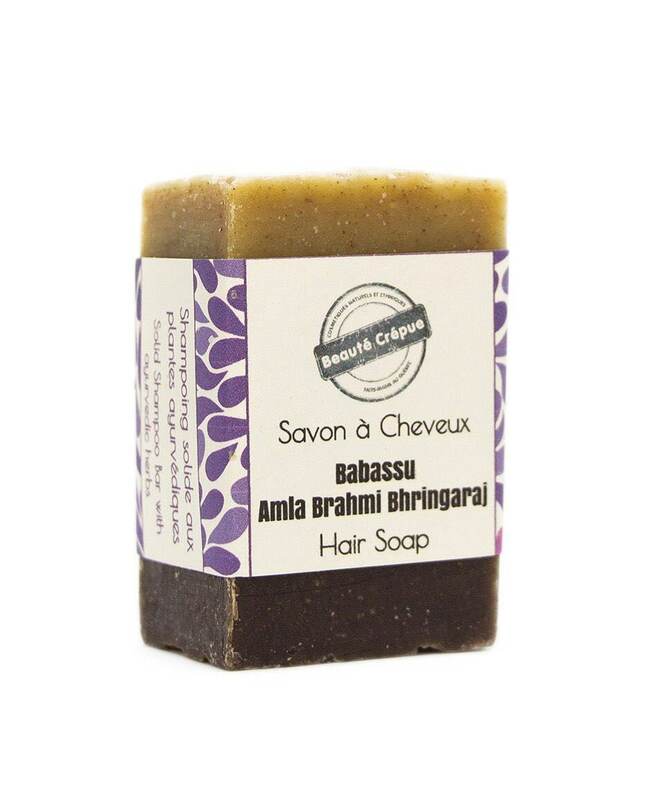 This hair soap is composed of ayurvedic powders of amla, brahmi, bhringaraj and neem, powders of marshmallow and rosemar leaf, bentonite and rhassoul clays, babassu oil, organic apple cider vinegar, organic aloe juice, shea, mango and cocoa butters, olive, grapeseed, avocado and castor oils and vitamin E.
- Babassu oil: Protective, it prevents the dehydration of the hair. This oil restores damaded hair and gives to the hair vigor and radiance. - Amla powder: Regenerating powerful, it stimulates the roots, promotes hair growth and slows down their fall. Antioxidant, it fights early white hair. - Brahmi powder: Toning, it promotes the growth of hair, while thickening and making them shiny. It soothes the scalp and helps fight against dandruff. - Bhringaraj powder: Bhringaraj is Ayurveda's "plant for the hair" and helps to fight hair loss and early white hair. - Marshmallow Root Bio (infusion): is a natural moisturizer for hair and scalp. Marshmallow root contains mucilage in abundance, makes easy to disentangle thick, curly hair. In addition, it contains vegetable proteins, vitamins and minerals that nourish the scalp and allow the growth of healthy and shiny hair. - Neem: helps to remove toxins related to various pollutions of the hair and fight against dandruff and relieves the itchy scalp. 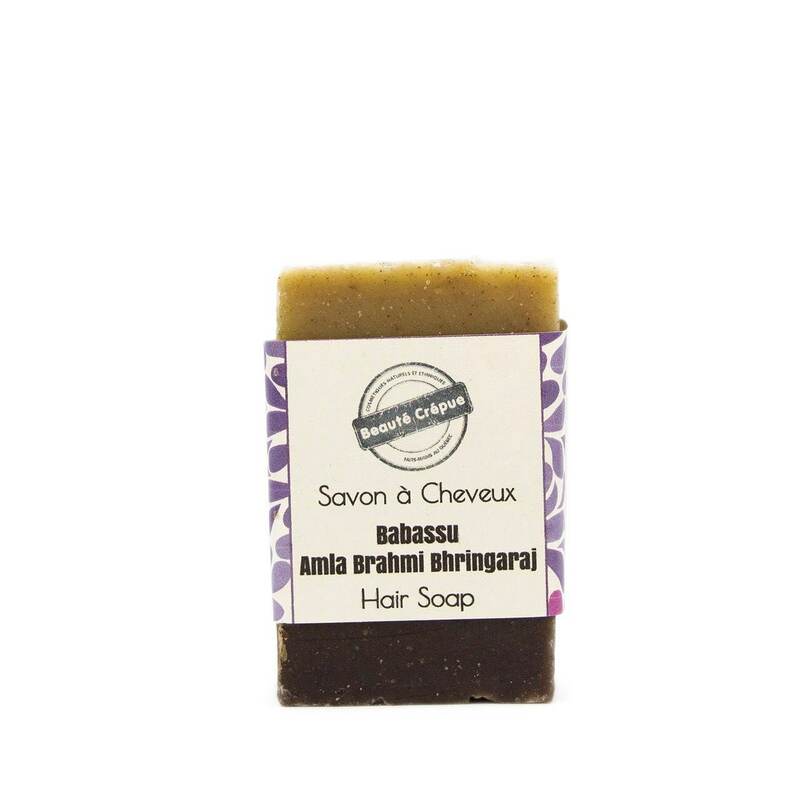 Babassu, Amla, Brahmi & Bhringaraj Hair Soap is unscented. 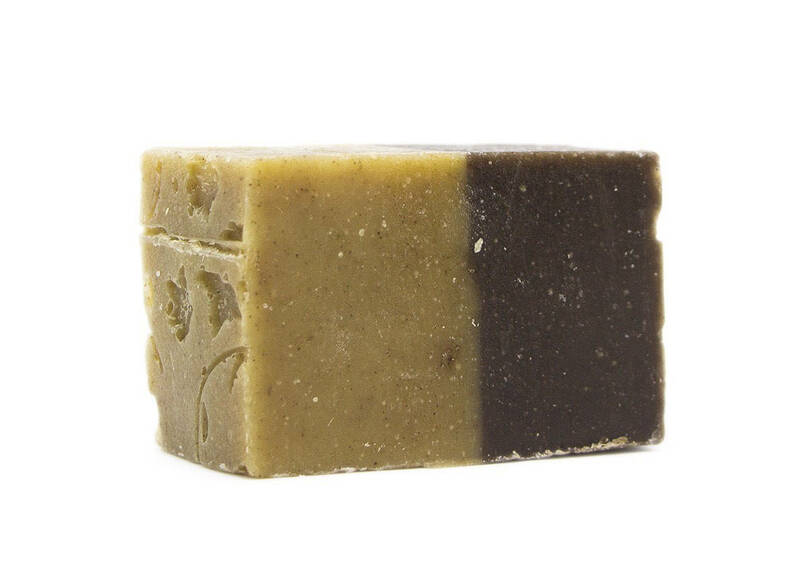 Without fragrance and without essential oils.